Confidentially is a central aspect of counselling and psychotherapy. The concept is straight forward in an individual therapy format: everything said between the client and the therapist is confidential *. However, couples therapy is slightly different. In couples counselling confidentiality is three-way and all information is considered common knowledge between both partners and the therapist. This is simple enough in regular couples sessions where the therapist meets both partners together. However, it becomes slightly more complex if ever one partner meets with the counsellor without the other present. During joint sessions each person is conscious that everything they say will affect their partner. Consequently, people choose and edit their words carefully so as not to inflict hurt or stir up an old fight. Unfortunately, subduing or omitting details makes it difficult for the therapist to fully understand or appreciate the struggles that each of them is trying to articulate. So, scheduling an individual session with each partner in the early stages of therapy permits them to talk freely, helping to alleviate this problem. However, whilst the benefits of a separate session are clear, seeing each partner alone adds a new consideration to the confidentiality agreement. Whilst both parties usually benefit from an individual appointment there is also a potential complication: in the individual sessions each partner will discuss things with the relationship counsellor that their significant other doesn’t hear. This raises the issue of whether the information discussed in an individual session is treated as common knowledge or private. The pressing concern here is: what happens if the therapist hears a secret that affects the partner? 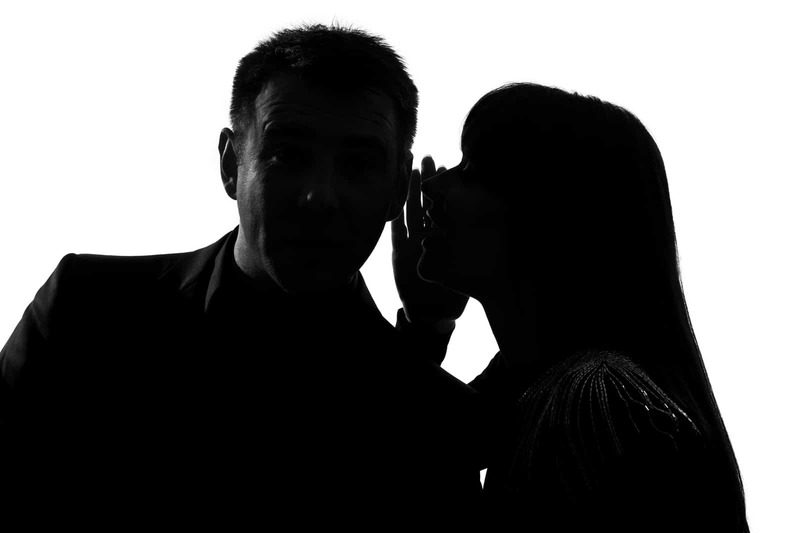 Should the relationship counsellor keep a secret or reveal it? The potential predicament is that during an individual meeting with one of the partners the therapist learns a secret that the other person doesn’t know. This places everyone in a bind. If the therapist reveals the secret then the partner who disclosed it will feel betrayed. On the other hand, if the therapist keeps the secret they are now colluding which betrays the trust of the other partner. Some therapists may avoid this situation with a blanket ‘No secrets’ policy. However, this stance might mean that the one holding the secret may have no other avenues to discuss it, leaving them confined to secrecy. Furthermore, a policy of refusing secrets might also spook some people into becoming overly cautious of everything they say, rendering the individual session pointless. An alternative stance is that the therapist refuses to see partners alone so that they don’t find themselves stuck in this predicament. But as previously mentioned, this approach incurs its own limitations. In each individual session we treat all information as common knowledge. However, we won’t routinely give each partner a detailed catch up at the next joint session. Effectively, what is discussed in the individual sessions is handled with discretion. For example, an ongoing affair that the partner does not wish to end would hinder if the goal of therapy was improving the relationship. But a historic affair that has ended and that the client deeply regrets might not. If a compromising secret was revealed we would not disclose it to the other partner but we would insist that the secret is either resolved and no longer a current problem or it is revealed so that it can be worked on in the couples therapy. If neither of these conditions are agreed to then we would be unable to continue with the couples therapy. We would then explore and discuss options for individual therapy where the secret could be addressed effectively. Of course, secrets in a relationship are undesirable and tend to get in the way of intimacy. However, the revelation of serious secrets – those that affect the goal of the relationship counselling – is actually quite rare. Perhaps those that hold such secrets don’t come to couples therapy. Or if they do come they maintain the secret and lie. Either way, it seldom happens that someone reveals such information in relationship counselling. Nevertheless, the partner of the person having an individual session doesn’t know this. What is quite common is that each partner wonders what will be said in their absence and fears the therapist might keep a secret. So, explaining our confidentiality policy is usually more for the benefit of the worried partner rather than avoiding ethical complications. A forthcoming explanation often provides a sense of relief to those who are concerned allowing them to use their individual session to speak freely and fully utilise their therapy. Most couples understand this and appreciate our approach but if either partner appears particularly uncomfortable then we may decide to dismiss or delay the separate sessions. After all, these sessions are supposed to be helpful, not hindering. This article has briefly discussed how we manage confidentiality in couples therapy in our practice at Auckland City Therapy. Other relationship and marital therapists may have different approaches so it pays to discuss it with your counsellor beforehand to make sure you are all in agreement with how to manage this complex situation. Read more about relationship counselling or contact us to make an appointment.